When I dropped my phone into the toilet I was amazed to see that it continued to work for a few seconds. All hope was quashed however 2 minutes later when it stopped, short, never to work again. I had only paid 26 dollars for it from ebay, but this was not the first time that such an incident had occurred in my household. My wife dropped her phone in the toilet on the day I bought it for her and I fell over whilst wading through a river in a drunken moment of foolhardiness and drowned my first mobile (and almost myself). None of this need ever occur again however, thanks to nanotechnology. A company called Neverwet has designed an all purpose waterproof coating that can be sprayed on that repels water so well that they can even show a computer dipped into water while turned on still operates. Last year they won the Grand Prix Award as an innovative start up and their product is really quite impressive. Check out the video on their website. The technology has many applications, it can be used to protect materials used under the sea to prevent corrosion, fabrics or small articles can be either dipped or sprayed, but the most interesting application certainly seems to be in electronics. A mother board can be sprayed and then used in wet conditions without failing. A great breakthrough I think. If you are interested in weatherproofing you should know that there are already many all weather computers on the market. Terralogic sell a range of rugged computers and accessories for work and military purposes. Obviously if you are carrying a computer on a battlefield it cannot be a domestic lightweight and easily damageable machine, so these beasts are designed to be shock and water resistant, and they come in military green so you stand out from the crowd in your local Cyber cafe. If you really need to go and work underwater you can purchase the WetPC, designed for the Australian military by Kord Defence Systems. This little baby is designed for underwater note taking, and offers a host of improvements over previous attempts making it much more user friendly through the adoption of its 5 key system. Combinations of the keys perform different functions making the machine suitable for underwater archeology, research and engineering as well as water sports. 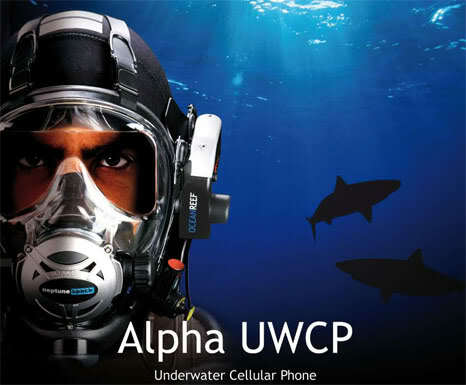 If you want to go one step further how about the underwater cell phone? This little package allows you to make a receive calls as you dive, and works either at sea or in the lake or pool at the bottom of the garden. Joking aside the technology is designed for commercial divers. The kit can be used with any phone that has a voice dialing system, as it sits within a face mask that is attached to a long lead with a floating buoy attached. The buoy hosts the broadcasting technology so that the user can connect to their normal service. All for about $1700 US. Take a look at the Ocean Reef company website for more details and to see what else tickles your fancy. So just dip your HP into Neverwet for domestic use or go the whole hog with a military machine, the choice is yours, but in the days of rising sea levels it is always better to be prepared. that’s certainly one of the best innovation, now you won’t mind if it’s raining out there or if you’re digging deep in the swimming pool. Yes, time for the monsoon season advertising campaign. I only experienced one monsoon season and I wasn’t with computer fortunately, 15 years ago back packers didn’t take mobile technology with them. Its amazing where they are going with nanotechnology. I find the idea that you can prevent underwater corrosion more interesting than creating an underwater computer or cell phone however I am sure there are lots of situations where a waterproof PC or cell phone could be utilised. Yes nano offers some interesting developments. Did you read my post though about called Nanotechnology, risks and benefits from a couple of months ago? It is not all rosy, check it out in the archives. I’ve often felt inadequate because I can not conduct business underwater!!! No, seriously the Neverwet technology sounds amazing and hopefully it will become mainstream. It is amazing and it might save a lot of technology from the drink, and its use in deep sea engineering is obvious. I would love this, living in the Pacific Northwest I’ve already ruined 3 cell phones in the last two years! Maybe one day most will have better waterproofing. Sounds like the sort of technology that would be useful to you Billye! The thing is, can you justify the cost? A really great article Jonny, very interesting new technology. I think it is great, but is there really that much of a market for it? Sometimes I don’t leave a comment, but rest assured, I always take an interest in what you write. BTW, do you like the new ‘Top Writers’ widget down the bottom next to the ‘Top Commenters’ one? Thanks, I enjoy writing and the fact of getting regular commenters is very pleasing. I think the market for the phone system is specialized to say the least, but I must add that the phone is not included in the price! Just the apparatus to stop it getting wet. The top writers thing is nice and I am pleased that the blog is going so well and continuing to grow. Good to here Jonny, glad you enjoy it and like the new top writers feature. I know what you mean about the comments, only a few of our readers actually comment (most lurk) but the support, opinions and views of those who do comment is one of the main reasons I love blogging! It sounds like they have come up with a really concrete waterproofing solution. So far, with most other waterproof offerings, we have seen that it usually only applies to light water application like a few drops or so but few devices seem to survive complete immersion in water. I am quite clumsy sometimes so I think I will get a phone like this.